Panama is best know for a waterway canal that connects the Atlantic and Pacific oceans opened in 1914. Many teaching positions in Panama and Latin America are done on a volunteer or missionary basis, however the pay can be quite high for paid teaching positions in Panama. 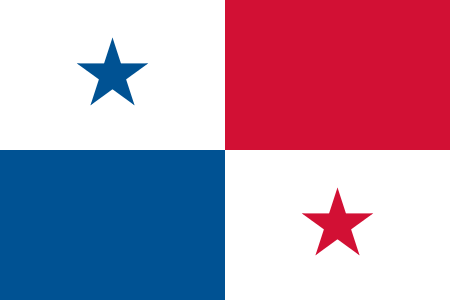 American TESOL supports groups and individuals with their goals to teach English in Panama. Becoming familiar with the culture of Panama is a plus. With US backing, Panama seceded from Colombia in 1903 and promptly signed a treaty with the US allowing for the construction of a canal and US sovereignty over a strip of land on either side of the structure (the Panama Canal Zone). The Panama Canal was built by the US Army Corps of Engineers between 1904 and 1914. On 7 September 1977, an agreement was signed for the complete transfer of the Canal from the US to Panama by the end of 1999. Certain portions of the Zone and increasing responsibility over the Canal were turned over in the intervening years. With US help, dictator Manuel NORIEGA was deposed in 1989. The entire Panama Canal, the area supporting the Canal, and remaining US military bases were turned over to Panama by or on 31 December 1999. What?s it like to teach English in? the Czech Republic? Courses are in English and cover a wide range of ... intercultural diversity and innovative styles of teaching. According to the new Panama Campus Director, Professor Stephen Harrison. TESOL Certification for Teaching English to Speakers of other Languages in Panama.